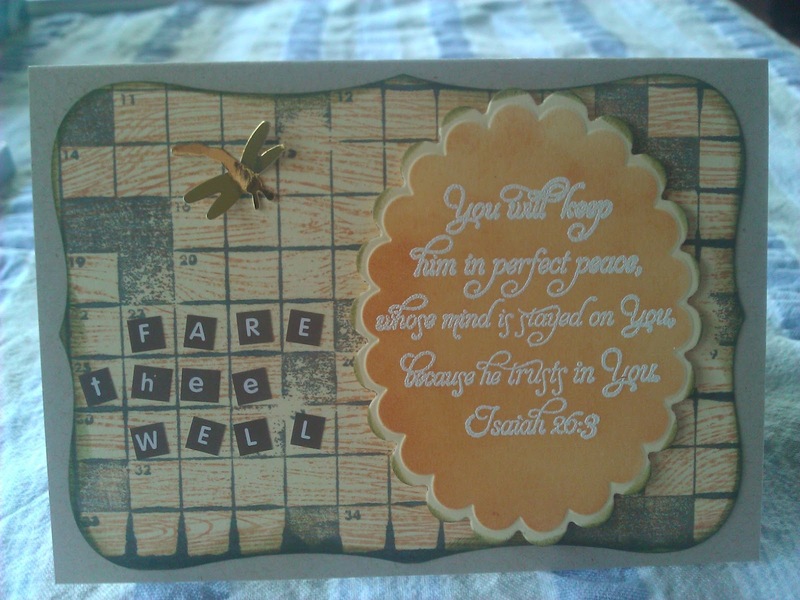 I made this card for a friend leaving work, who is moving on to further study. Verse - Our Daily Bread Designs stamp onto deep cream watercolour paper, white embossed, cut with Scalloped oval Nestabilities, sponged with Distress Ink while in the die. Background - deep cream watercolour paper, stamped with Distress Ink, then overstamped with Hero Arts Crossword background. Cut out with Labels 8 Nestabilities. To finish - Oval affixed to background with foam dots; small dragonfly punched from gold mirri board.